DAF Trucks at IAA Hanover 2018 - DAF Trucks N.V.
‘Proud of our heritage, leading today, ready for the future’ is DAF’s overall theme at IAA 2018 - which is being held in Hanover from 20 to 27 September. 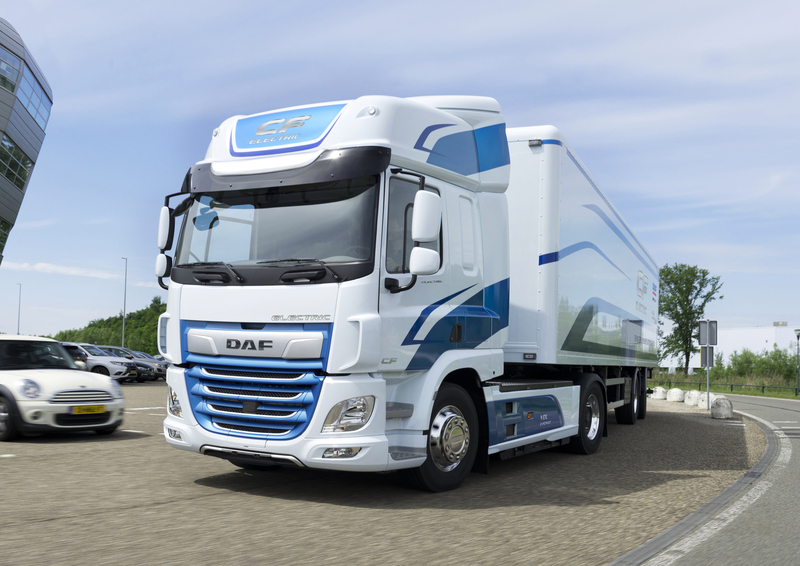 DAF Trucks is exhibiting its full, industry-leading product and services range, the result of 90 years of heritage in developing innovative transport solutions. 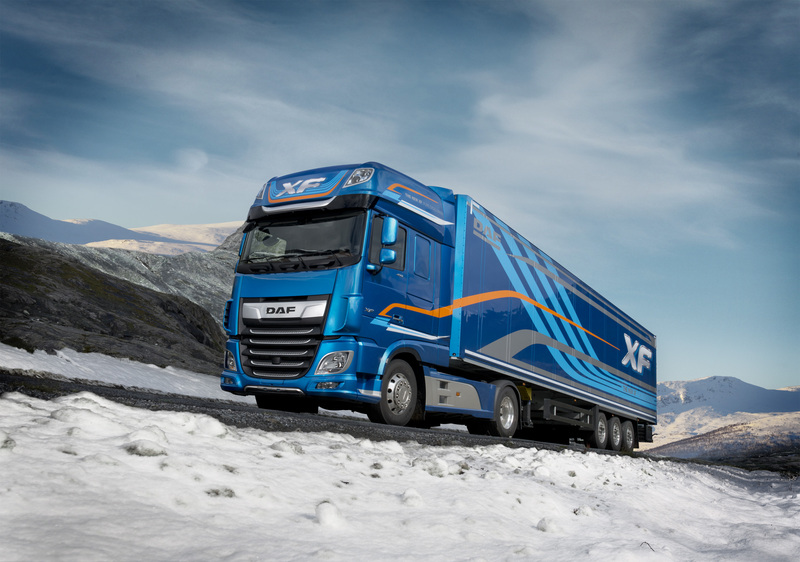 DAF is the European market leader in tractors and is number 1 in fuel efficiency, uptime, reliability and driver comfort. 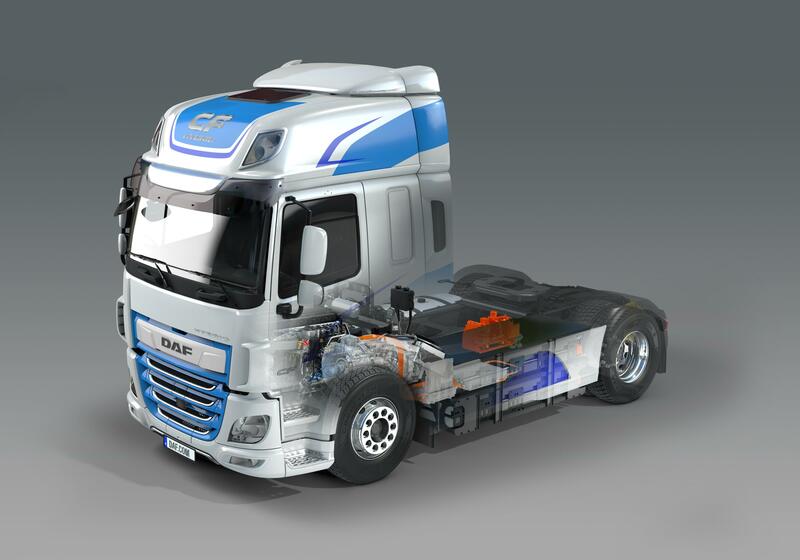 DAF’s powertrain leadership is demonstrated by the advanced LF Electric, CF Electric and CF Hybrid Innovation trucks that are on display at Europe’s largest truck exhibition and are a key part of DAF’s vision on future transport. The DAF stand is located in Hall 17 of the exhibition complex. Occupying an area of 2,500 m2, it showcases the complete on highway and vocational product range that set the standard in quality, low operating cost and vehicle performance. 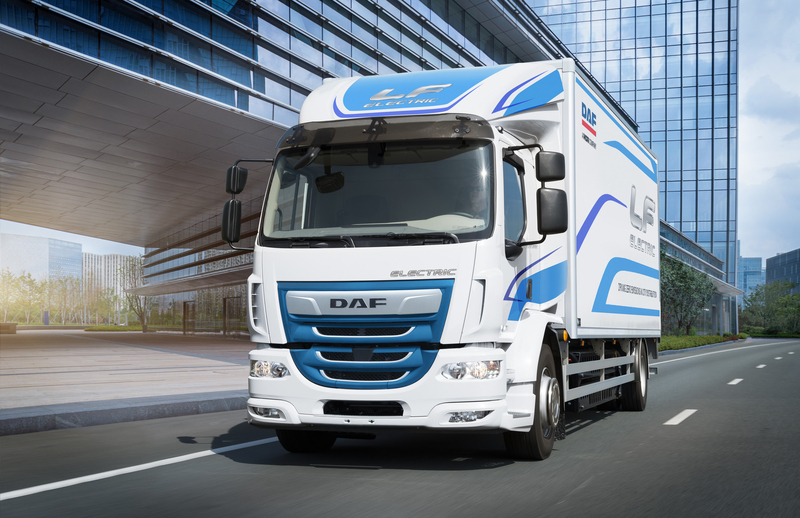 The DAF trucks on display include the LF for distribution transport, the versatile CF designed for a wide variety of applications and the flagship XF for heavy and long distance transport. 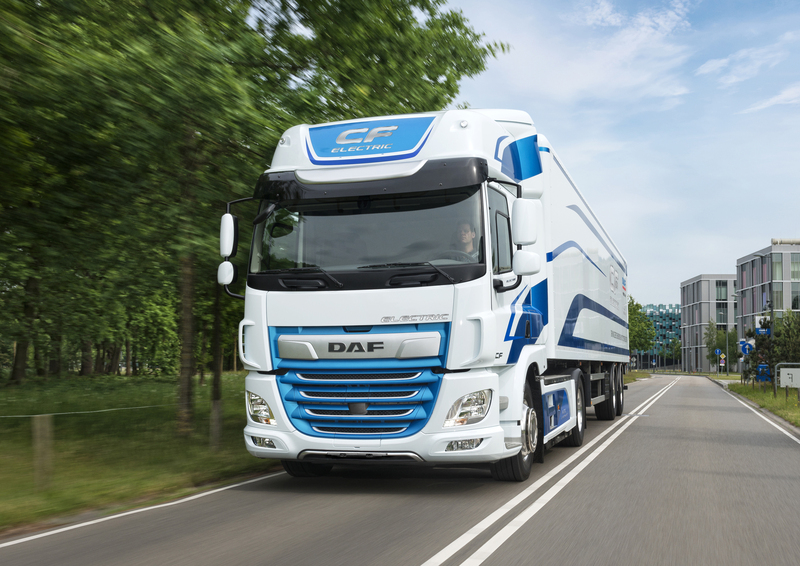 The CF and XF were voted ‘International Truck of the Year 2018’ thanks to a comprehensive package of technical innovations, resulting in a 7% fuel efficiency enhancement that sets the benchmark in the industry. 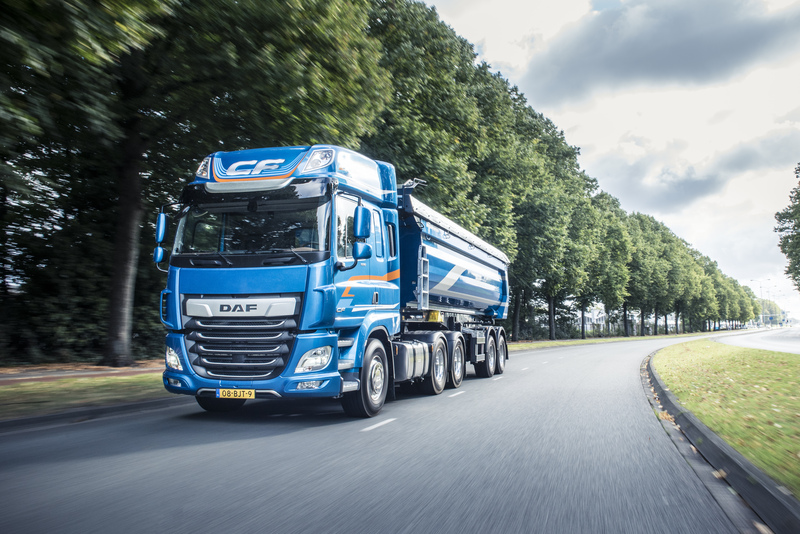 The DAF LF was awarded ‘Fleet Truck of the Year 2018’ in the United Kingdom. To highlight the importance that DAF and its 1,100 sales and service dealers attach to a full range of services to support their class leading products, PACCAR Financial, PacLease, PACCAR Parts, DAF MultiSupport Repair and Maintenance and the DAF Connect fleet management system are prominently featured in the DAF IAA stand. 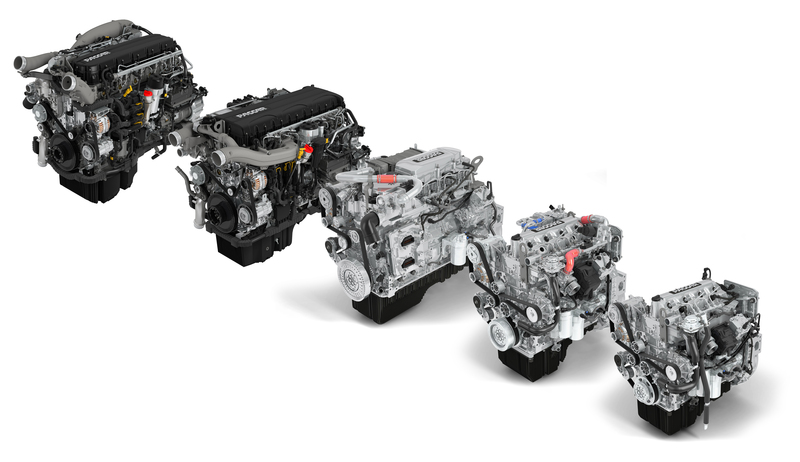 To underline DAF’s aim to further strengthen its industry leading position in fuel efficiency and low emissions, DAF is exhibiting a full range of Innovation Trucks at the IAA. These include the LF Electric and CF Electric for medium and heavy duty city distribution, as well as the CF Hybrid for mid-range distribution with zero emissions in urban areas and the best overall efficiency. These innovative solutions have been developed to champion the needs for improving local air quality in cities, as well as reducing CO2 emissions. 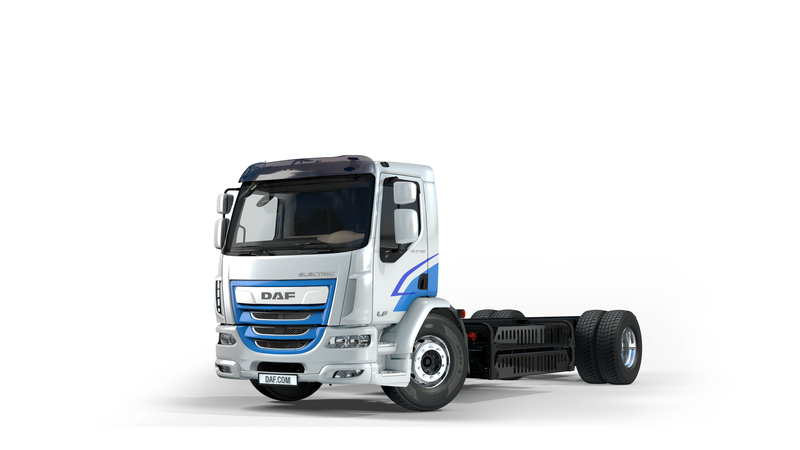 The DAF LF Electric is a 19 tonne fully electric truck for zero emissions city distribution. 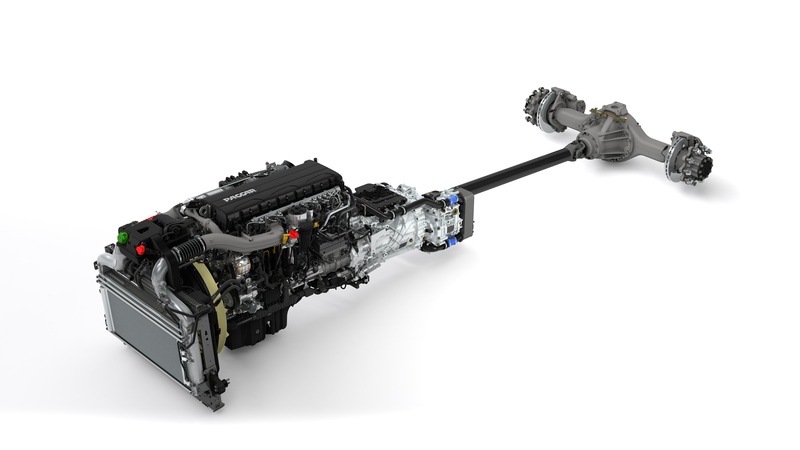 The truck features Cummins technology with a 195 kW/266 hp electric motor (peak: 250 kW/340 hp). The motor is powered by a battery pack of up to 222 kWh, providing a range of up to 220 kilometres when the truck is fully laden. 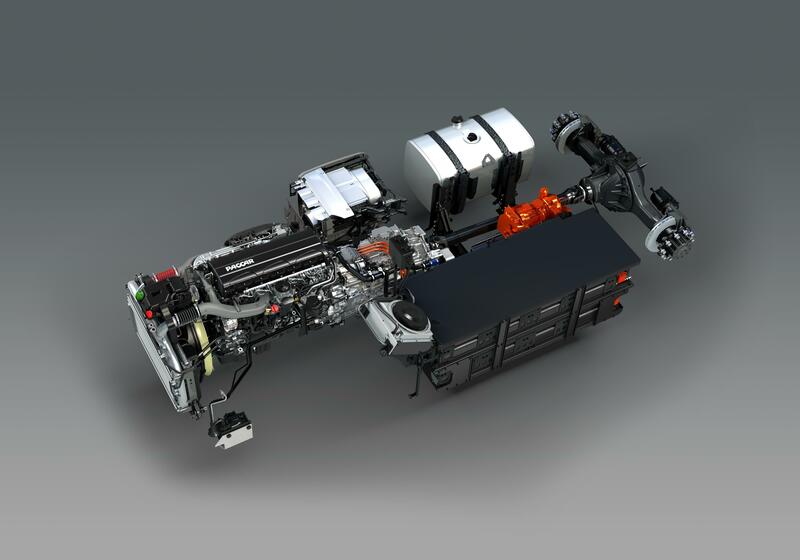 As the battery pack is modular, capacity can be scaled to the range required by customers. 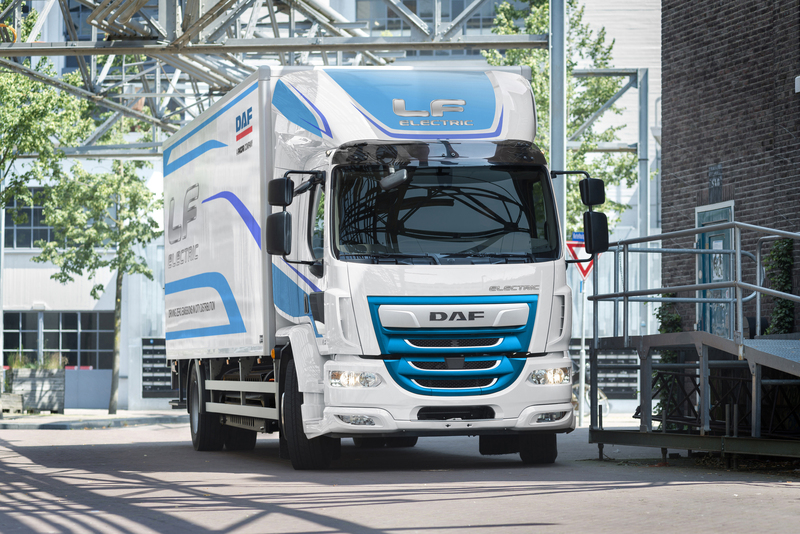 For city distribution the 220 kilometre range of the DAF LF Electric is ideal. 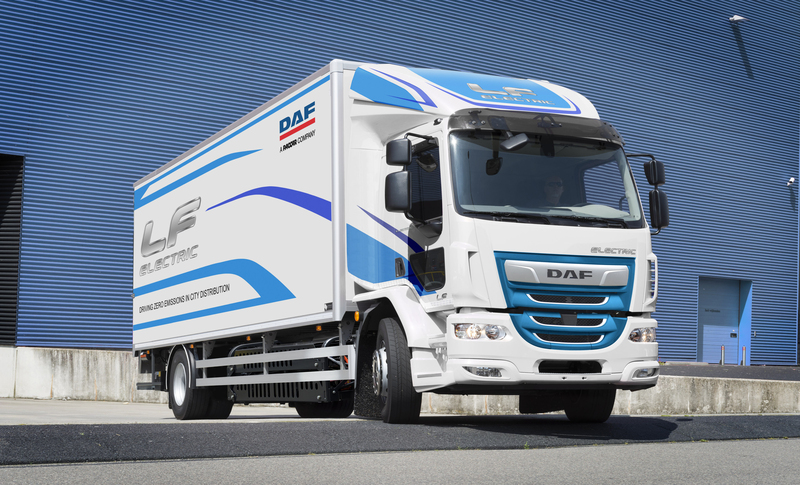 The DAF CF Electric is the ideal zero emission solution for urban distribution requiring higher payloads and volumes. This includes applications where single or double axle semi-trailers are the standard, such as in supermarket delivery. 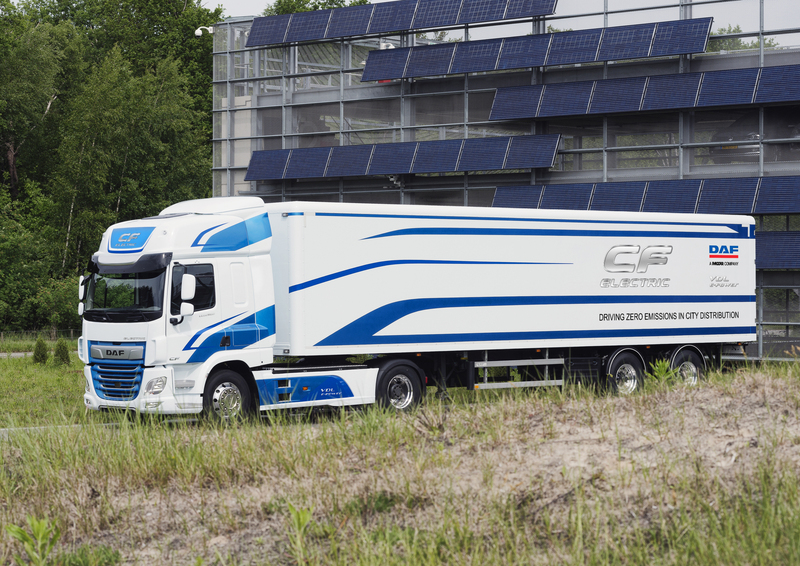 The CF Electric is a 4x2 tractor unit for up to 37 tonne GCW applications. 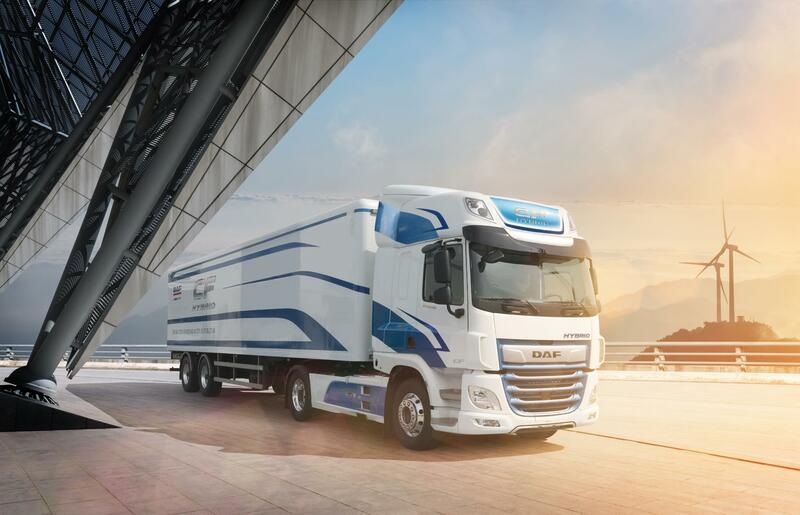 The truck is based on DAF’s versatile CF series – ‘International Truck of the Year 2018’ – and uses VDL’s advanced E-Power Technology for fully electric operation. The centre of the intelligent powertrain is the 210 kW/286 hp (peak: 240 kW/326 hp) electric motor, which gets its energy from the 170 kWh lithium-ion battery pack. The CF Electric has a range of approximately 100 kilometres which is appropriate for high volume city distribution applications. Quick charging of the batteries can be performed in 30 minutes or a full charge can be accomplished in as little as 1.5 hours. Freight loading and unloading time can be used to charge the battery pack. 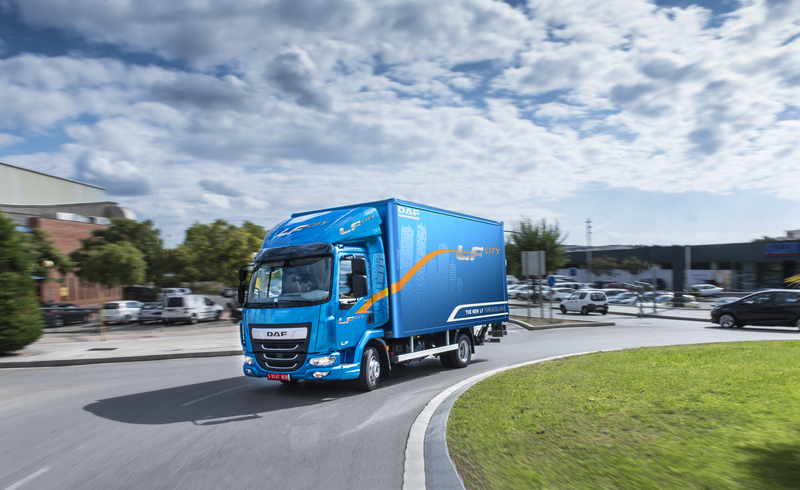 The DAF CF Hybrid has been developed for driving electrically with zero emissions in urban areas, while offering a much longer range to operate beyond those urban areas, thanks to the latest, ultra-clean diesel technology. The combination of electric and diesel power ensures the highest logistical efficiency. 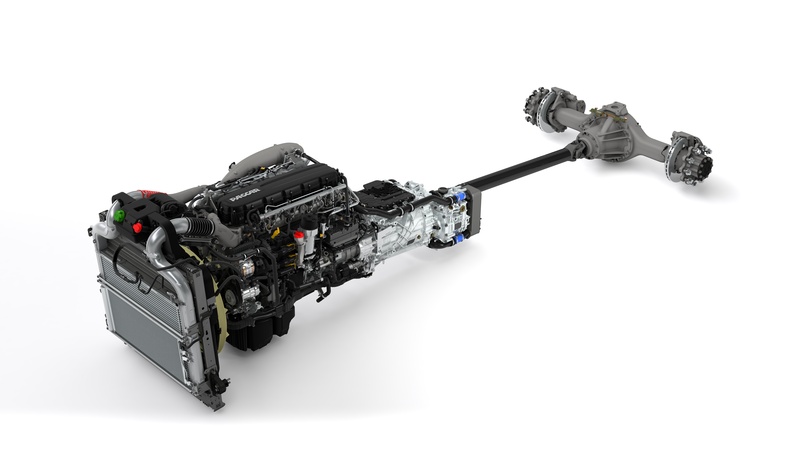 The sophisticated DAF CF Hybrid features the very efficient 10.8 litre PACCAR MX-11 engine (330 kW/450 hp), a ZF electric motor (75 kW/100 hp / peak: 130 kW/175 hp), in combination with a dedicated ZF TraXon gearbox for hybrid drivelines. 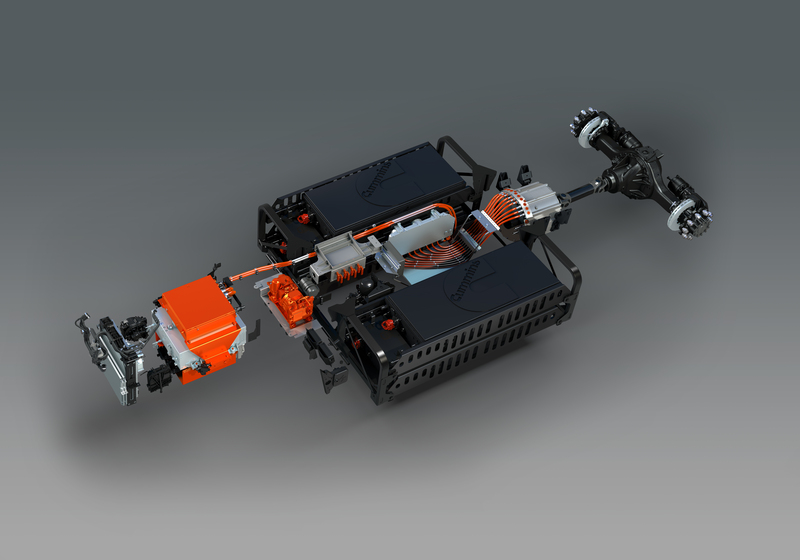 The electric motor is powered by an 85 kWh battery pack, which allows for a full electric, zero emission range of 30 to 50 kilometres, depending on the Gross Combination Weight. 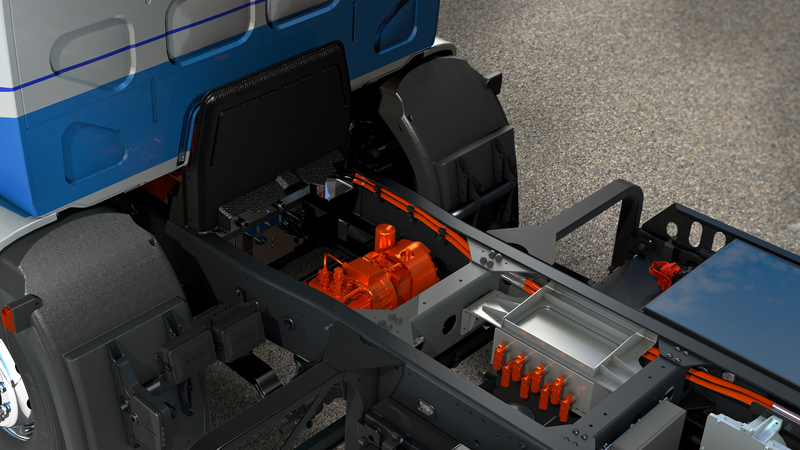 The batteries can be charged by the diesel engine during on-highway operations, and by using a DC charger at a charging location. The vehicle is designed with a fast charge capability that takes 30 minutes for a full charge and only 20 minutes for a charge of up to 80%. Outside urban areas, the CF Hybrid is powered by the clean and efficient PACCAR MX-11 diesel engine, where the hybrid technology provides additional fuel savings thanks to the smart energy management. Regenerative energy is captured during braking and when using speed-related controls like Down Hill Speed Control and Predictive Cruise Control. This energy can be used by the electric motor to operate in conjunction with the diesel engine to further reduce fuel consumption. The battery pack of the hybrid system powers the electric driveline, the electric air compressor, as well as the optional intelligent e-PTO. The e-PTO can be used to drive refrigeration equipment on semi-trailers for temperature controlled transportation further enhancing low noise operation. 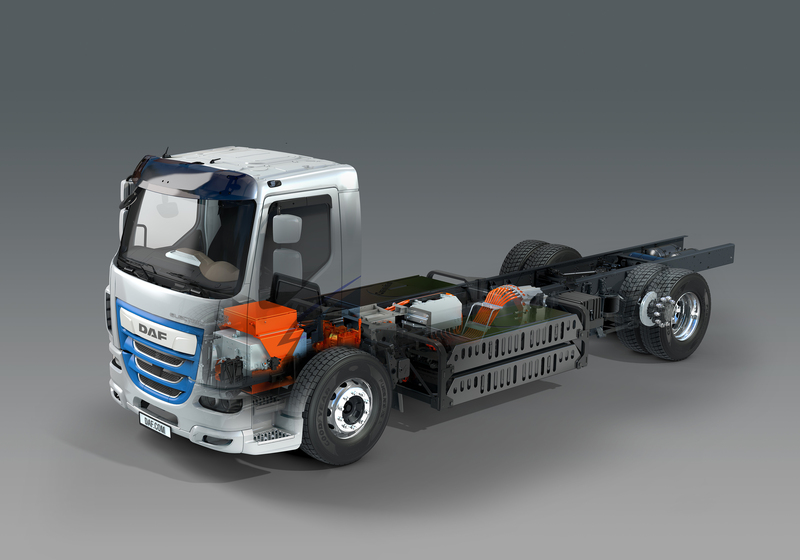 The first CF Electric trucks will be released into field test operation with leading customers this year and similar field tests are planned to start with the LF Electric and CF Hybrid in 2019. 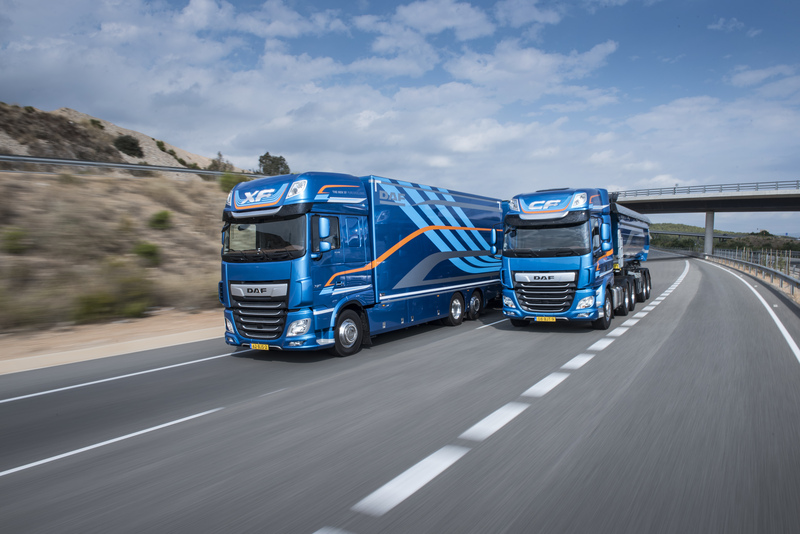 DAF will be ready to introduce these state-of-the-art trucks when the market is ready. 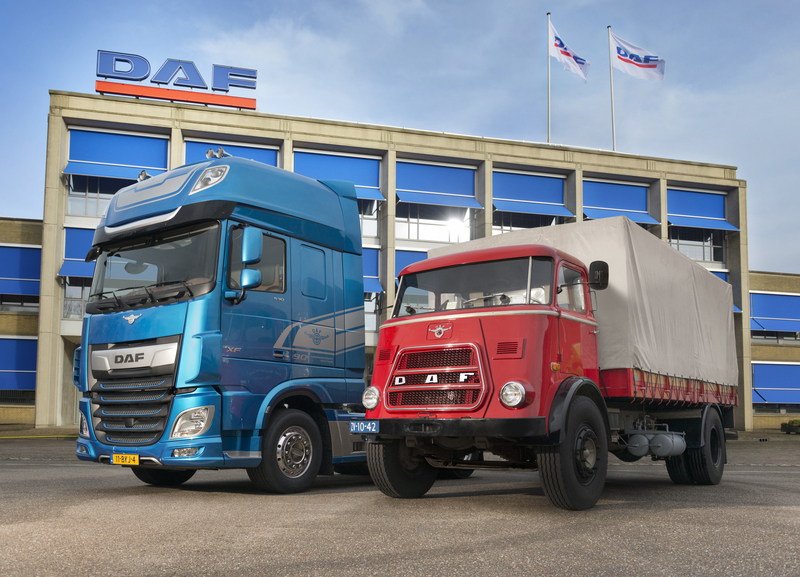 To commemorate the fact that it has been 90 years since Hub van Doorne laid the foundation of DAF, a historic DAF 1600 model from the late sixties is on display at the IAA-stand, next to a highly exclusive XF 90th Anniversary Edition which commemorates the founding of DAF in 1928. The vehicle features a premium options package, exclusive striping and exterior design elements, as well as the most powerful 530 hp/390 kW PACCAR MX-13 engine. 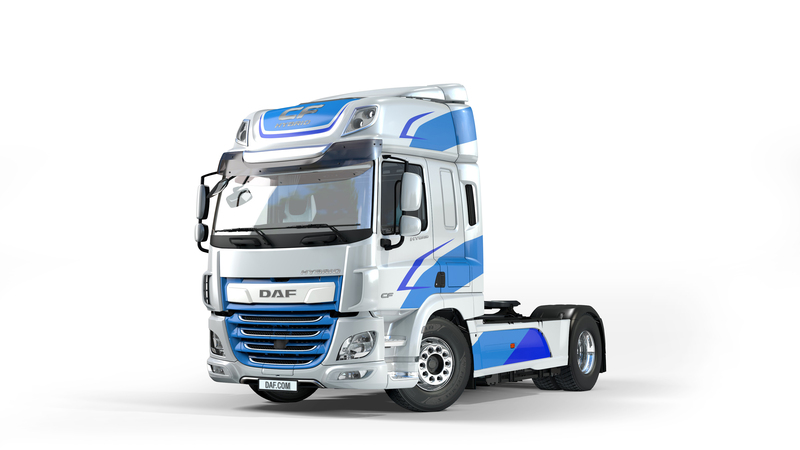 DAF’s famous historic logo is proudly displayed on the front of the truck, on the sides and back of the cab, as well as in the luxurious, fully leather upholstered interior. 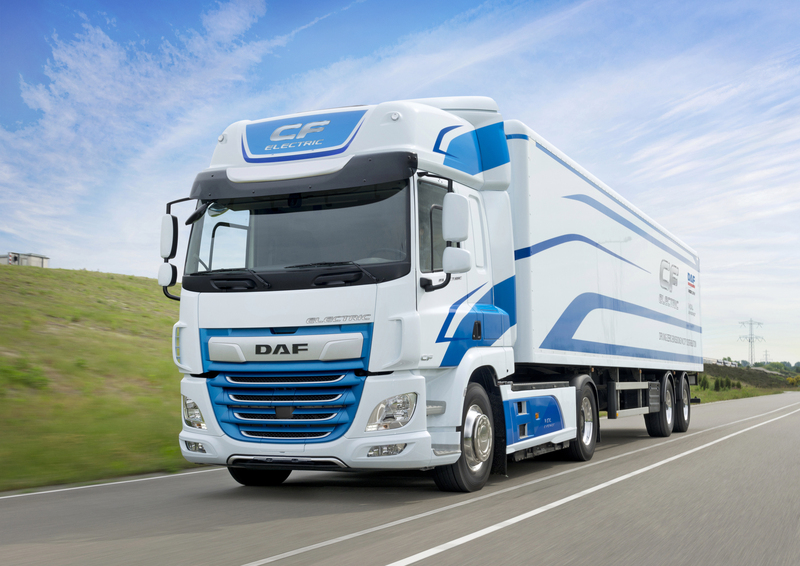 In the past 90 years DAF has developed the European truck industry’s leading vehicles. DAF’s heavy-duty market share in Europe grew from 15.3% in 2017 to 16.5% in the first half of this year. 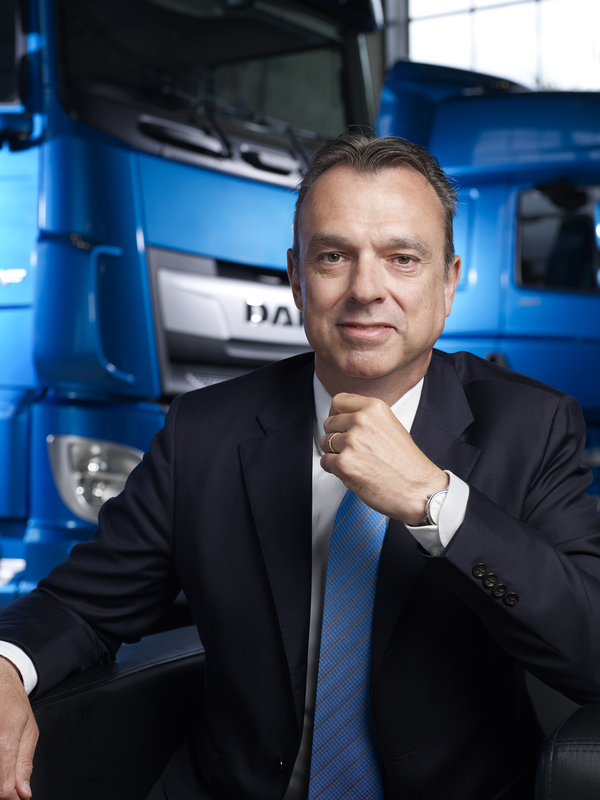 DAF Trucks is the heavy duty market leader in The Netherlands, Hungary, United Kingdom, Poland, Belgium, Romania, the Czech Republic and Bulgaria, and is Europe’s market leader in the tractor segment. 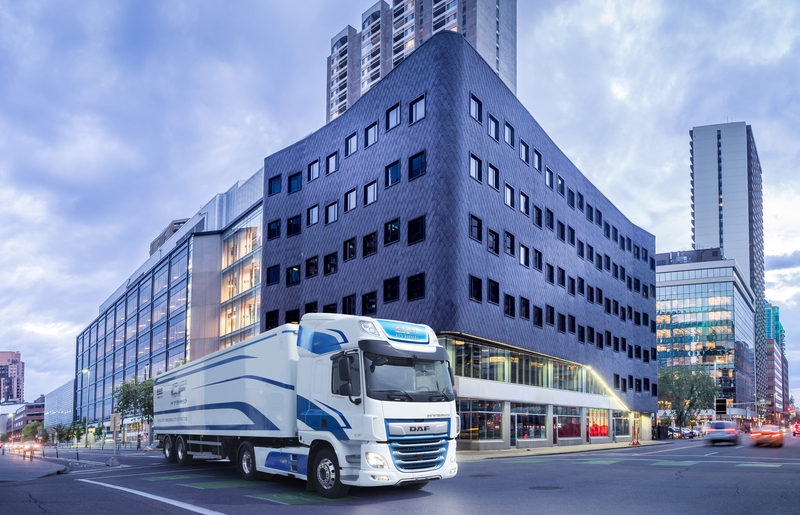 In Germany – the largest truck market in Europe – DAF is the largest import brand. 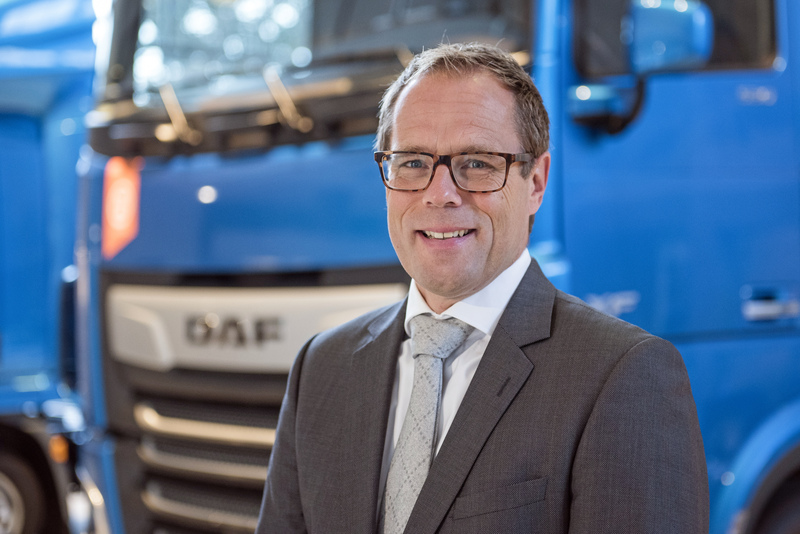 “With excellent trucks – setting the standard in efficiency and quality – and industry-leading services, DAF is well positioned to further expand its presence throughout Europe and beyond”, said Harry Wolters, DAF Trucks’ president. 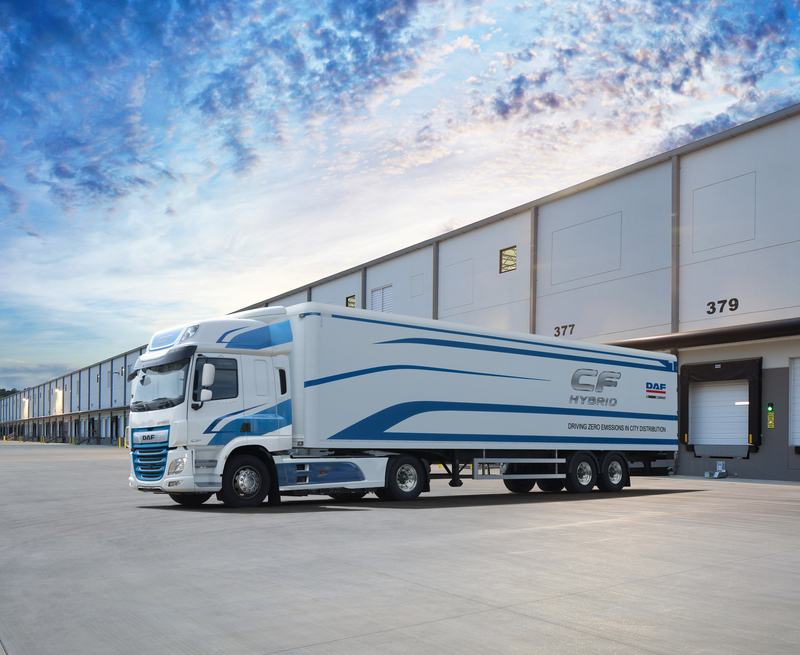 The DAF stand in Hall 17 features dedicated areas with class leading trucks for long distance and vocational operation, highlighting that DAF delivers the perfect vehicle for every application.